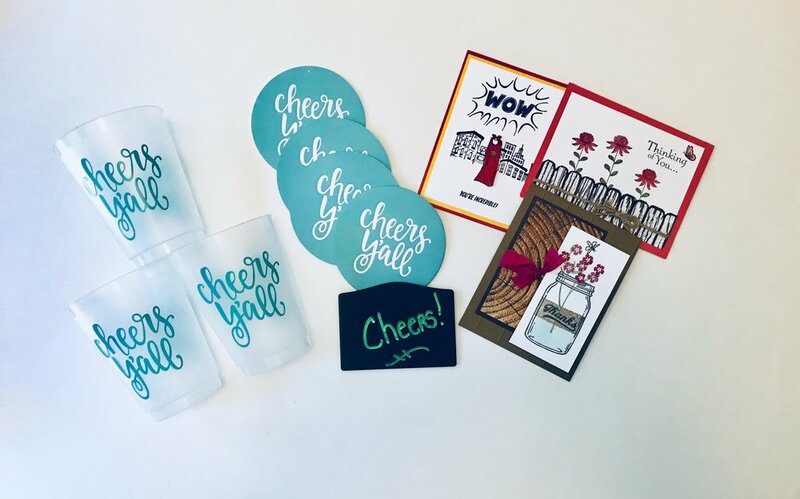 When you open your box it will be like bringing your favorite magazine, blog, website or store delivered to your door and come to life in your home! Burlap and Daisies Subscription box will contain a retail value of $80-$100 each month. of life hacks, resources, tools and tips for you to start implementing immediately. Join a community of women, like you, as a member of a private Facebook Group that have subscribed and are looking for easy ways to help reduce their daily stress level. It will give you and others opportunities to post about your frustrations and weaknesses and in turn, offer advice to others as well. This group will also offer guests "appearances" from other professionals in the Home Decor, Fitness, Beauty, Finance, Inspiration, and many other industries that will share videos and challenges! This will help keep you engaged throughout the month to stay on track while you foster these new habits! While you may be the quiet shy type and are looking to read and scroll along or maybe meet new friends, this group will be for you! 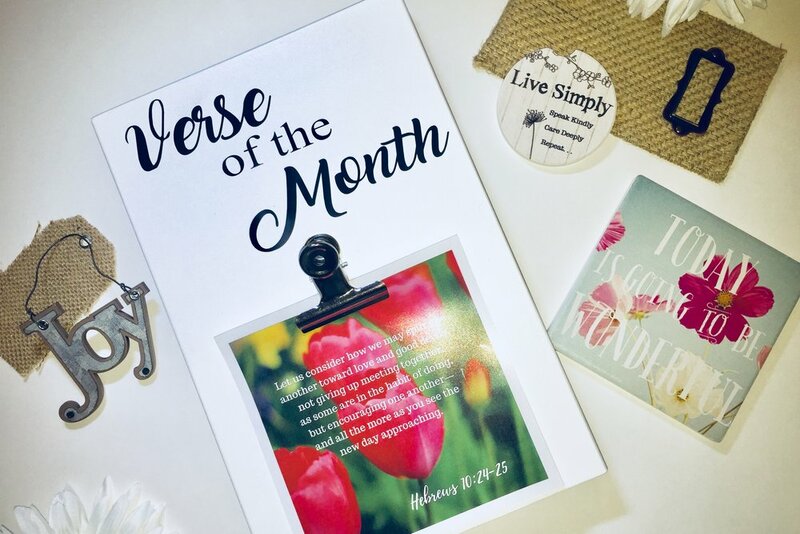 Each month you will receive a Verse of the Month! There’s power in the act of memorizing—of becoming so familiar with a word, phrase, or verse that it springs to mind instantly when something happens to trigger the memory. When you’ve truly internalized something, it can stay with you all your life—consider how easy it is to recall the lyrics to pop songs from your youth. And if you can still remember the lyrics to a Bon Jovi album from the ’80s, you’re quite capable of committing a few Bible verses to memory! Most people love sayings and quotes, and some resignate more with you than others, but how many times do you find yourself not being able to remember how the saying goes? Let's change that! Let's fill our minds and be able to speak of positive reminders to ourselves. My example has always been, What if all of the bibles of the world were taken away? How much do you remember and can you recall? What if the internet, Facebook and Instagram went away, where would you get your inspirational quotes? A booklet will accompany the box each month varying from 10 to 26 pages. Depending on the theme of the month and the activities included, there will be a different purpose each month. It will reveal articles, resources, tips, and tools that pertain to the items in the box, it's like having your own Life Coach at a fraction of the cost! It's for your use to read, write and color in it, and small enough to put in your purse and take with you! In this time where we are feeling more and more alone in this motherhood, it’s time to reach out. Our spouse can be our best friend, but they just can’t feellike we do. Men are from Mars and Women are from Venus, right? Isn’t that what we’ve been told? So how can they possibly help us at all times?If you haven’t reached out to your circle recently, then do so! Have them over! YES! T0 YOUR HOUSE! These are the people you actually want to cross over the WELCOME mat! I challenge you to examine your circle. Maybe it’s time for a change and add some new, or maybe it’s just time to reconnect! Turn your acquaintance into a BFF. All it takes is for someone to take that first step! Burlap and Daisies is here to help! Each month we will give you actionable steps and the tools to make this happen, even for the shy folks! Under THIS Roof is where it all happens. It’s our safe place to fall, the one spot we can just be whatever it is that we are wanting to be. Some days we are nothing more than a hot mess just looking to escape the world, some days this place is filled with laughter, tears, anger, chaos, or even the opposite, silence. But, it is the one place that we call home. It’s the space that we, as moms and wives, created for our families, no matter if we are dysfunctional and unorganized or running through each day like a well-oiled machine. The cleanliness of our homes, the decor, the overall feel when we walk in, live in, and leave this space is up to us. Let us help you remember that as the CEO of our home it's learning the remember that it's in these mundane routines and chores that we are truly blessing our family, our homes, and being thankful to God for what he has provided for us. When we live our lives full of clutter and chaos it takes a toll on ourselves, and our family. When our homes are not organized and and our belongings are scattered about, we add additional stress not only to ourselves, but to our family. Yes, chores are boring and there is always more fun to be had, but when you spend time in your home, not matter how much time, it should be your safe haven. It's the little things like making your bed and being able to walk into a room after a long day and not see more "To Do's". Each month a new routine will be introduced and a new tool or hack will be included. Together we will do it! We will learn new routines that will allow your to have more Time and Less Stress!